An irresistible bench, unrivalled fire power in attack and a manager who gets the best out of his players means the Dubs will retain their title. Jim Gavin has an unrivalled arsenal of talent on the bench to throw into the fray. As a result, the Dubs are the only team in the country who could arguably finish with a stronger 15 on the field than they started with. Gavin’s impressive man-management means that the six subs he springs in each game are chomping at the bit to impress and once they are introduced, they rarely fail to make an impact. The Dublin boss also has the depth to hand-pick a player to suit the dynamics of the game. Whether it’s an extra couple of scores he needs to kill of a game, a bit more pace or some physicality, the likes of Dean Rock, Jack McCaffrey and Bryan Cullen respectively can change the momentum of the game into Dublin’s favour. Stat: The Boys in Blue have scored 2-23 (0-6f) from the bench so far this year. Cormac Costello has 1-9 to his name in 2014 without a championship start. An effective ploy against the blanket defence, Dublin bravely pushed right up man-to-man on the Monaghan defence last Saturday, starving them of the time and space they usually have to work the ball out of defence and launch attacks. Often times it results in the Dublin corner backs operating as high up as the ’45 as they put a squeeze on the opposition, but Jim Gavin has absolute faith in his players and trusts their defensive abilities in the wide expanses of Croker. The high press is a vital component of the Dublin game-plan and is their answer to breaking through a packed defence. The Dublin team are a physically imposing bunch and are an exceptional group of athletes. Many pundits felt Monaghan’s defensive set-up might shackle their forward momentum – and it did so for about 24 minutes until Diarmuid Connolly opened the floodgates with a goal. The pace and power of the likes of Connolly, Michael Darragh Macauley and Paul Flynn and amount of relentless running they do means that, while it may be possible to frustrate the Dubs for a period of time, eventually they will kick the door down and storm through. This Dublin outfit may well be highest scoring side to reach the All-Ireland football semi-finals. They have amassed an incredible 9-88 in just four games up to this stage, averaging 28.75 points per game. Even if one of Bernard Brogan, Eoghan O’Gara or Kevin McManamon have a quiet day, another player will be on hand to take up the slack and shoot the lights out. Dublin rarely rely on any one individual for scores and 20 players have been added to the scoresheet for them in the championship so far. Stat: Dublin’s half-forward line have scored an average of 7.5 points per game this summer. Gavin may be a master tactician, but his ability to keep this Dublin team as such a humble bunch of players must surely be his greatest achievement. He has often preached the importance of his troops not only being good players, but good people as well. Far removed from the flashy Dublin sides we saw in the earlier part of the last decade, Gavin’s squad appear to be a grounded team with their sole focus on sweeping all before them and collecting trophies. That can only work in their favour. Email “5 reasons why Dublin can win the All-Ireland senior football title”. 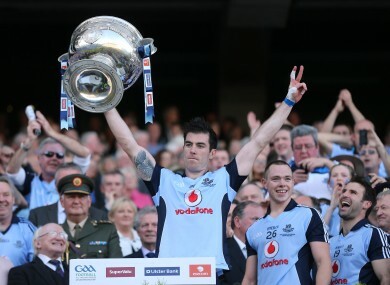 Feedback on “5 reasons why Dublin can win the All-Ireland senior football title”.